It's a pleasure to say that the third full-length from underappreciated Australian melodeathsters Be'lakor is as good an album as I expected it to be, having heard the previous two. There's no real change in sound, although the more diverse influences have been dropped in favour of a streamlined, progressive-tinged sound that proves the band's skills at channelling melodies are only improving with age. I slightly prefer the predecessor, 2009's Stone's Reach, but Of Breath And Bone is still a marvellous album. That slightly odd artwork is enough to inform you that Be'lakor are a distinctly classier outfit than the average, if you weren't aware; the band's take on melodeath is something like an artier Amon Amarth, albeit stripped of viking oomph and replaced with a more broadminded progressive outlook - Opeth are an obvious touchstone, but Be'lakor are quite different to the Swedes. Songs are lengthy, hefty, affairs that take their time but somehow don't scimp on melody or hooks - whether six or nine minutes, these mini-maelstroms are uniformly excellent. Eight-minute opener Abeyance is a case in point, starting on a high with Dark Tranquillity-esque raging before dropping into a melodic meander, jumping back into metallic realms with a prog-tinged build-up and an infectious, simple hook of a riff that almost sounds like it's played on a keyboard. The riff changes are fast and smooth, the instrumentation precise and professional, the song itself an excellent example of a band firing on all cylinders and delivering excellent metal. Be'lakor don't drop the ball once during Of Breath And Bone, even the inter-song flow being expert - the soft rumbling and build-up of Remnants follows on from Abeyance perfectly, for example, and the ensuing folk-tinged melodies are an effective change from before. The band are good at shifting just enough from the central formula to keep you interested, little touches like the classical opening to Absit Omen a classy touch, and the flute-y interlude To Stir The Sea sets the ground well for the crushing In Parting, an eleven-minute epic that has enough changes and flourishes for even Dream Theater fans to enjoy the experience. 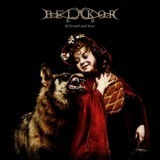 You could argue that the songs are too long and there's simply no reason for these to be mini-epics instead of four-to-five minute slices, but I enjoy Be'lakor's quiet insistence in this matter, trusting their own ability to write such material and the listeners' ability to appreciate it. Detractors might use this as evidence of the band's name not being especially well-known, but I hope that changes - Be'lakor are three for three now in terms of albums releases and subsequent arses kicked, and I hope success finds them soon. In the meantime, those in search of quality melodic death should make sure their ears find a copy of Of Breath And Bone.